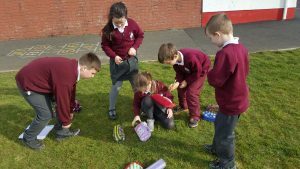 We had a great week celebrating Maths Week in first, second and third class. 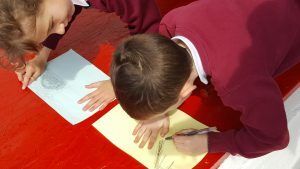 We played maths games everyday at school. 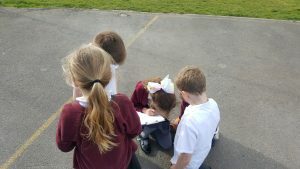 We learned lots of new games! 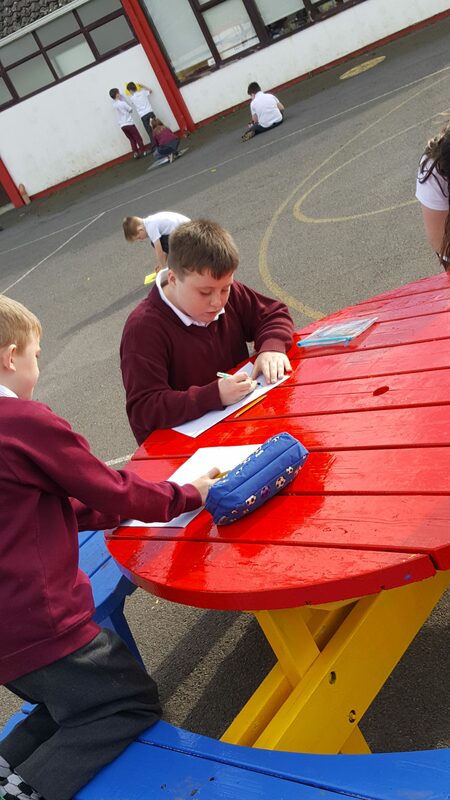 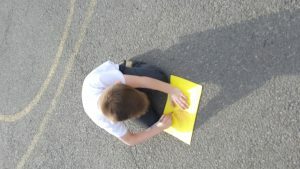 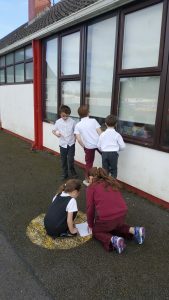 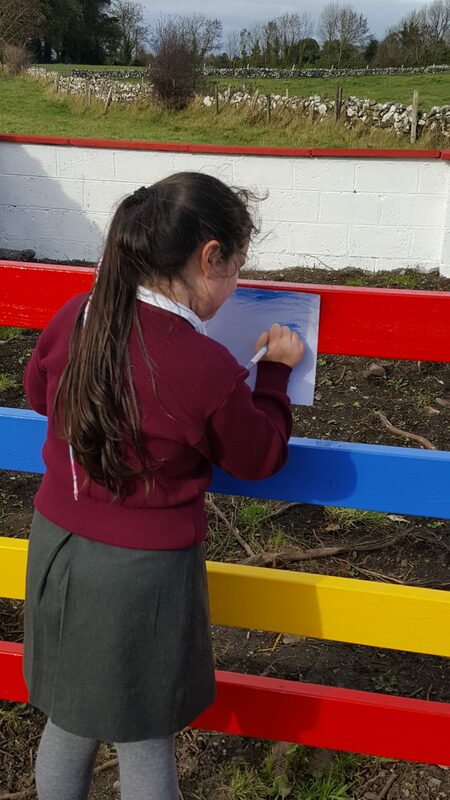 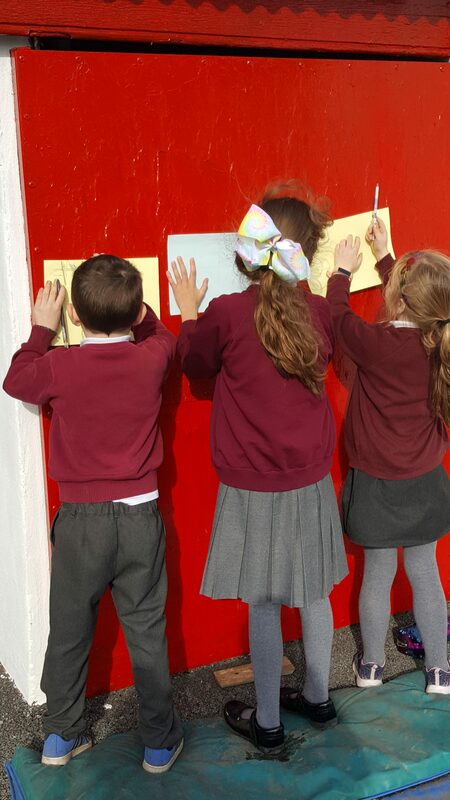 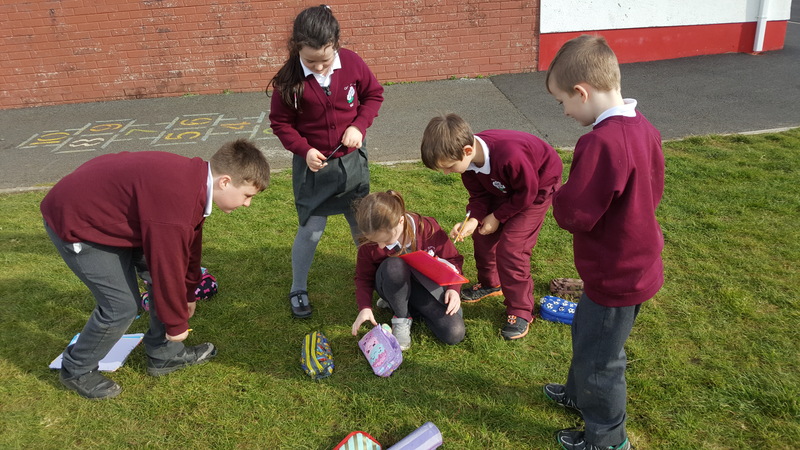 We went outside on Thursday to explore maths in the world around us. We worked in teams and completed a maths trail. 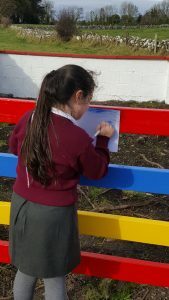 The maths trail helped us to explore shapes, lines, numbers and length.